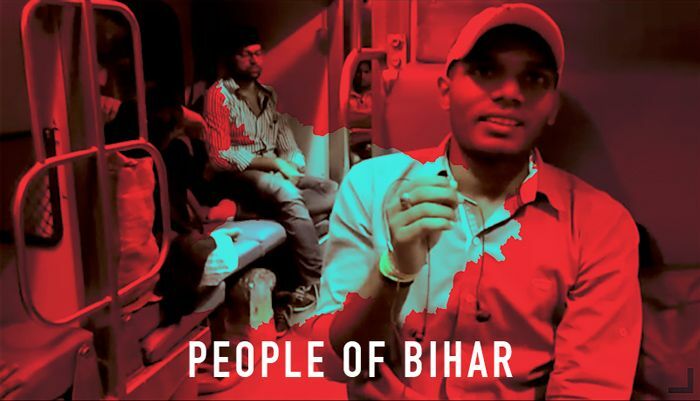 Catch is, therefore, starting a 'People of Bihar' series, which will daily capture what different impact groups across the state are feeling. This is true insight on the Bihar election: up-close and hyper-personal. As the Sampoorna Kranti Express between New Delhi and Patna picks up speed, a hot discussion is underway inside the B2 coach. The loudest voice belongs to a young man who's extolling the virtues of Prime Minister Narendra Modi. His argument is simple - Lalu and Nitish have had their chance; now, the BJP must get its turn to govern Bihar. This is Rakesh Kumar, a resident of Pachi village in Sheikhpura district. Rakesh, 23, is an engineering graduate and is preparing for the UPSC examinations. "Why was it necessary for Nitish to join hands with Lalu? Bihar will have a relapse of jungle-raj if Lalu is voted back to power. If he had done good work, why was Nitish afraid of fighting it alone?" Rakesh exhorts. The son of a farmer, Rakesh believes agriculture alone cannot turn around the fortunes of Bihar. The state needs rapid industrialisation, which he believes only Modi can bring. "Narendra Modi has travelled across the world to attract foreign capital. He has met global business leaders who are willing to invest in India. Bihar and its youth will benefit from this process if there is a BJP government in the state," he says. Rakesh belongs to the same Kurmi caste that Nitish hails from, but that doesn't mean Nitish is his automatic choice. Asked who could be a good CM if the NDA comes to power, Rakesh says: "Rajiv Pratap Rudy is a good candidate for the post. He never indulges in loose talk." Here's more from our interaction with him.